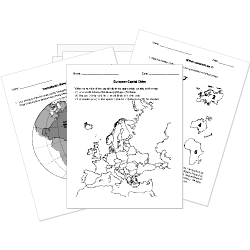 You can create printable tests and worksheets from these None African Geography questions! Select one or more questions using the checkboxes above each question. Then click the add selected questions to a test button before moving to another page. Which country's capital is Windhoek? Freetown is the capital of which country? Lusaka is the capital of what country? Of the countries listed above, which are located on the continent of Africa?